Some people just want to watch the world learn. One science mad pirate wants the flow of scientific knowledge to be free to the people so they’ve created a pirate site dedicated to nothing but official peer reviewed papers. 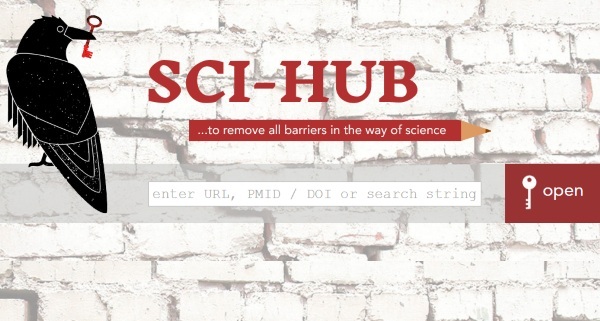 Sci-Hub is the pirate bay of hard science. Usually, for many papers you have to be a member of a university library or subscribe to journals. But the person behind Sci-Hub has compiled a free library of papers that anyone who has an internet connection can access. They’re all about the free flow of information. No movies, no comics, no novels, only science and of that there are more than 47 million papers and the number is growing. These are primary sources, meaning the actual studies, not media bites. If you’ve read something a bit questionable online and want to get the full source, this website wants to help fuel your quest for knowledge. Pirating gets a bad rap, what with all Game Of Thrones episodes being leaked but don’t forget the free flow of information can be a source for good as well. Check out the site for more information.